Am I misreading this sign? 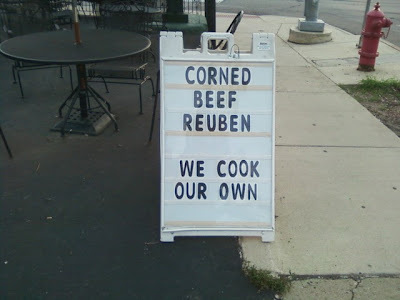 Is Pizza Pino admitting they cook up their employees and turn them into their corned "beef" reubens? So, that's the secret!? Thanks for the laugh.